REV’IT! has finally entered the world of protective casual garments and we could not be happier that they did! The REV’IT! Stealth Hoody and the REV’IT! 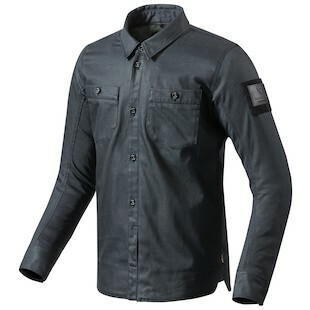 Tracer Overshirt bring all the premium quality and protection we have grown to expect of REV’IT! in a style shift that is less Long Way Down and more Long Way Around Town. The stretch denim of the REV’IT! Stealth Hoody has been laminated with a waterproof and breathable Hydratex 3L Pro to keep you dry no matter the weather, with the front zipper backed by a full-length rain-gutter. The CE certified SeeSoft elbow and shoulder armor, a short-connection zipper, jeans loop, and a pocket for a CE Level 2 SeeSoft back protector will keep you well protected if things go sideways. Reflective accents on the back of the elbows add a nice touch of visibility. The REV’IT! Tracer Overshirt is constructed from 11oz cordura denim and hides its full-length black oxide zipper behind a line of buttons. Perfect for work or play, this shirt lets you hop on and off the bike without wasting time pulling on and off your jacket - making sure you get the most riding time out of your busy schedule and keeping you on time to work and social events. Sporting the same CE certified SeeSoft elbow and shoulder armor, a short-connection zipper, jeans loop, and a pocket for a CE Level 2 SeeSoft back protector as the REV’IT! 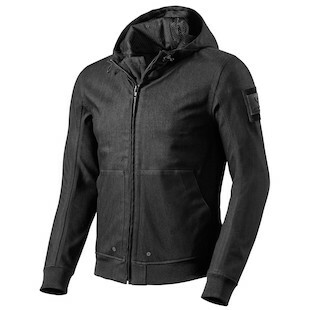 Stealth Hoody means that this subtle looking shirt packs a major wallop. Coupled with a fleece or synthetic down base or mid-layer, these two new options can push your city riding long into the Fall season and get you back on the road early in the Spring, all without compromising style for protection or vice versa!